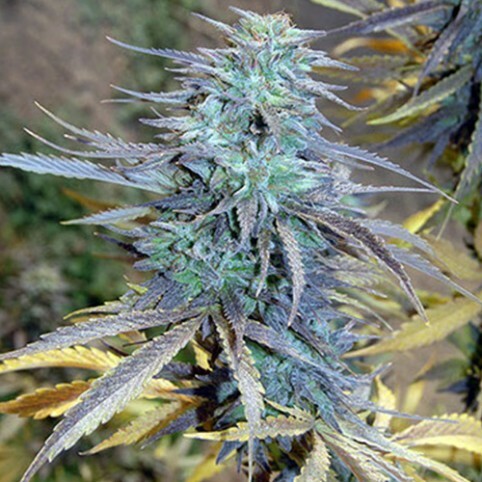 AK47 cannabis seeds have won many competitions and gained more than eight awards including second prize for the best Sativa back in the 1999 High Times Cannabis Cup. This strain is easy to grow and a breeze to care for making it one of the most popular varieties of the late 90s and early 2000’s. This makes AK suitable for commercial or home growers around the world. AK47 will grow to an average height and will produce great yields in a short amount of time. This strain has a very short flowering cycle for a Sativa variety and will produce compact crystallized buds which dazzle you with her resin crystals. She is a very strong-smelling plant so take extra care when growing near neighbors, you will not be disappointed by her finished buds which are extremely strong! You can buy AK47 cannabis seeds in bulk packs of 100 from us here at SeedMasters.com!